If your business is in the first phase of ISDN disconnection, you need to act now to avoid disruption, downtime or worse, disconnection. A bottleneck of migration orders and a shortage of NBN technicians has seen the average time for a migration off ISDN to an alternate solution slip out to 4-6 months. For plain facts, download this eBook and learn all you need to successfully negotiate the ISDN disconnection and migration to an alternate solution. VoicePlus has transitioned more than 2,000 business sites to the NBN, including a number of ISDN migrations. 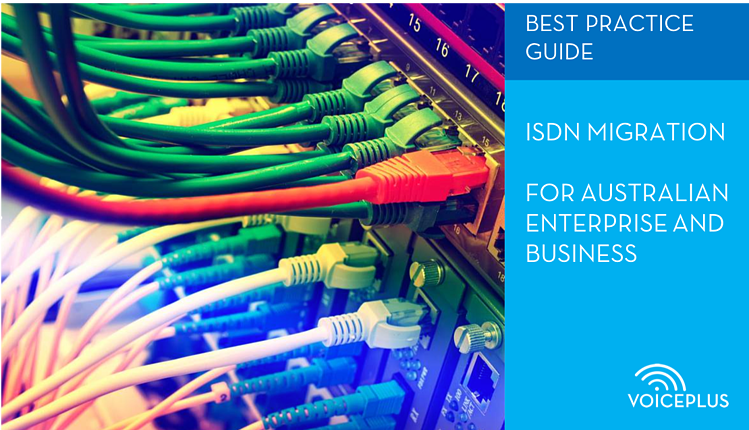 This is a best practice guide for anyone who is responsible for migrating their business off ISDN. Chapter 1: When will my ISDN lines be disconnected? Chapter 2 What are my choices as an alternative to ISDN? Chapter 3: Will I need to buy a new phone system? Chapter 4: Will I lose my existing phone number? Chapter 7: What will it cost to move off ISDN? Chapter 8: What IT resource will be needed to migrate away from ISDN? Chapter 9: Should you consider a third party to manage your ISDN transition?